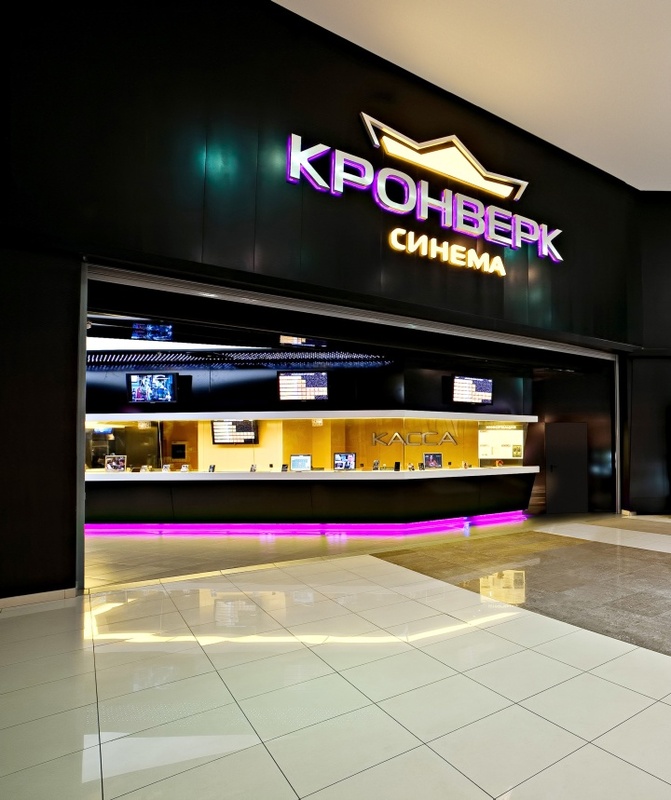 Kronverk Cinema is a leading cinema network on the Russian market. 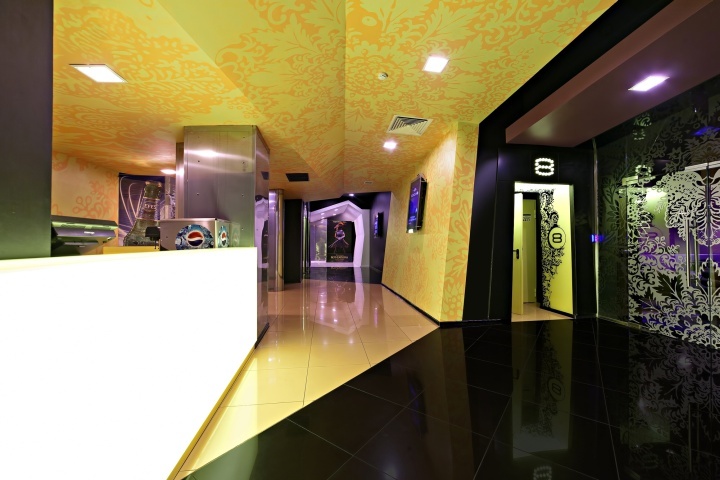 It encompasses 15 cinema theaters in major cities in Russia (including 8 in St. Petersburg) and 1 in Ukraine. Kronverk, strengthening its market position and ensuring its good reputation among viewers, consistently implements its strategy of development through improvement of the quality of services and introduction of global standards. 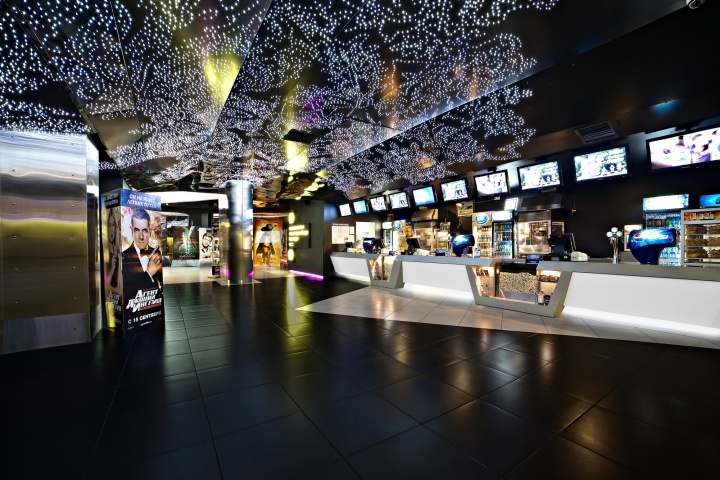 This was the reason why the brand turned to Robert Majkut Design studio – with a task to create a new standard model for cinema facilities that could be implemented in the network cinemas. 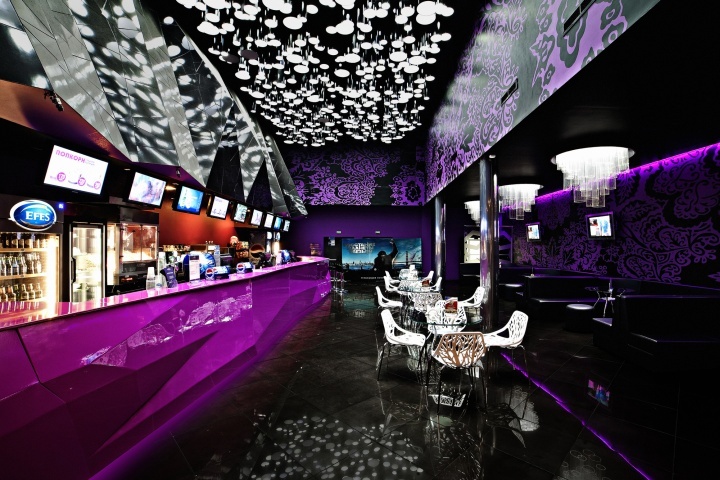 The new standard was to elevate the culture of multiplex cinemas to a very high level, previously unknown in Russia. 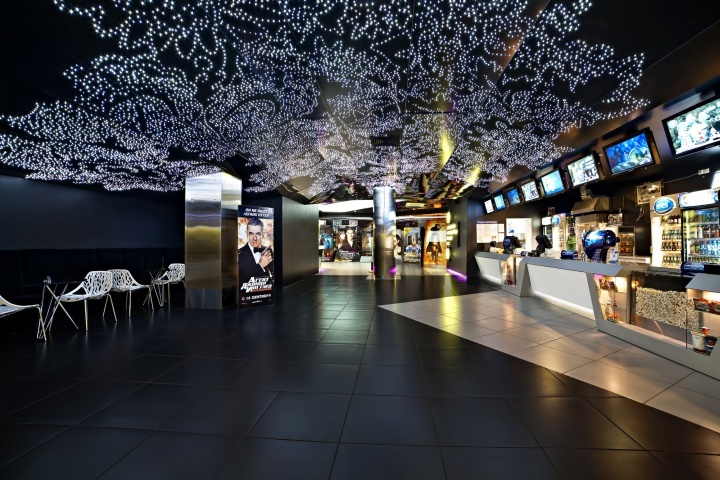 The concept developed by Robert Majkut Design was realized in one of the cinemas in Moscow. 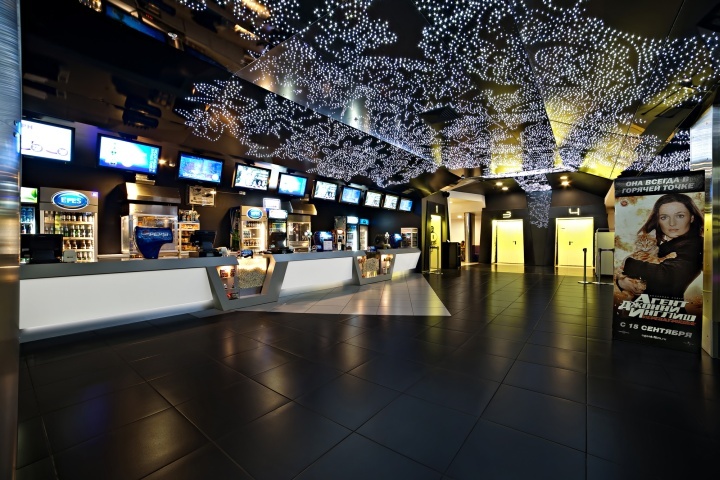 It allows to be repeated both in new and existing cinemas as a coherent and consistent solution of the spatial organization and visual identification. As a whole, the concept developed by Robert Majkut Design is the brand’s distinctive market differentiator. Recognizable elements of Kronverk’s brand identity – the distinctive logo and colors – were the starting point for this project. The concept is realized as a smooth development of the logotype’s shapes and its color balance. All spatial geometric forms present in this project are the consequence of a certain order of lines, which comes from the trademark – most of all from the distinctive symbol of crown. Derivation of these lines, their multiplication and crossing has created a flexible array of forms, which can be modified into various modules. In this way for each wall or ceiling there is a common matrix, one can find their counterpart in the elements of the logo. 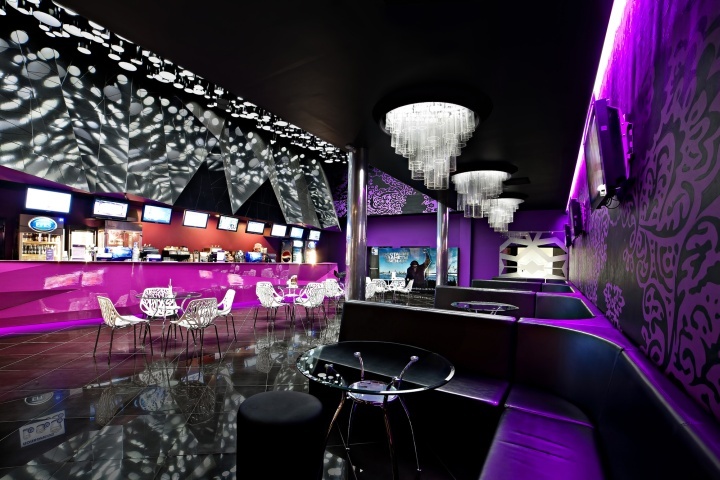 Despite the consistent use of color and geometry in the interiors of Kronverk Cinema, each zone is characterized with a distinct and clearly codified aesthetics. 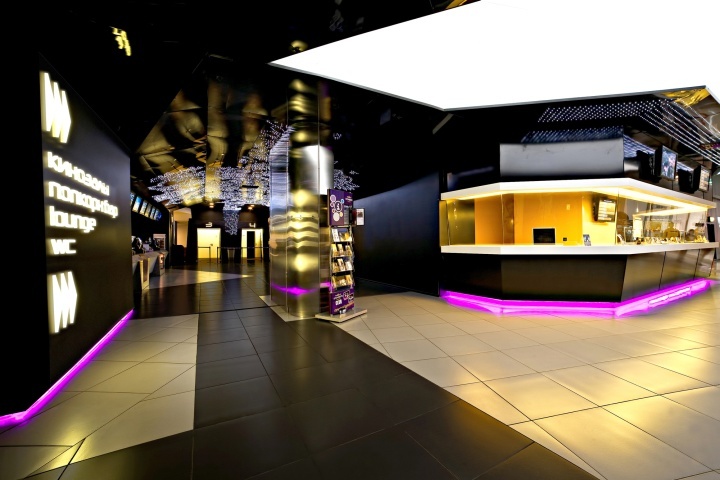 The entrance to the cinema, modern and geometric, leads to the lobby area – a very characteristic tunnel, divided into spatial zones with seat modules. The ceiling of the lobby is a set for the magnificent play of light formed in a subtle pattern. 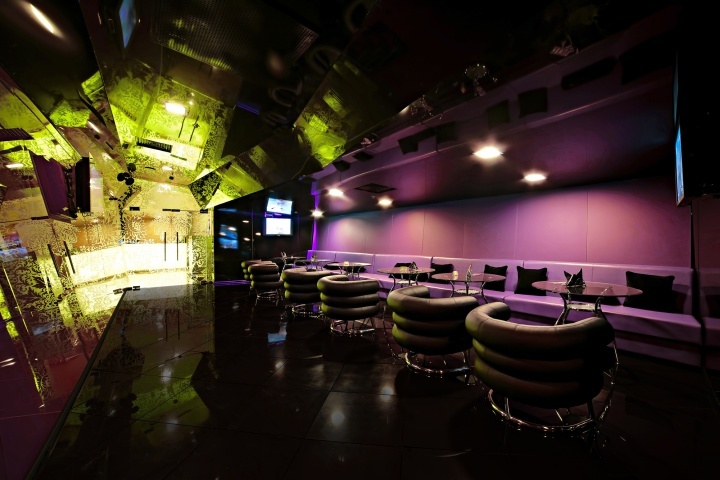 Alcohol Bar, because of its scale, is to give the impression of saturated, patterned spaciousness. 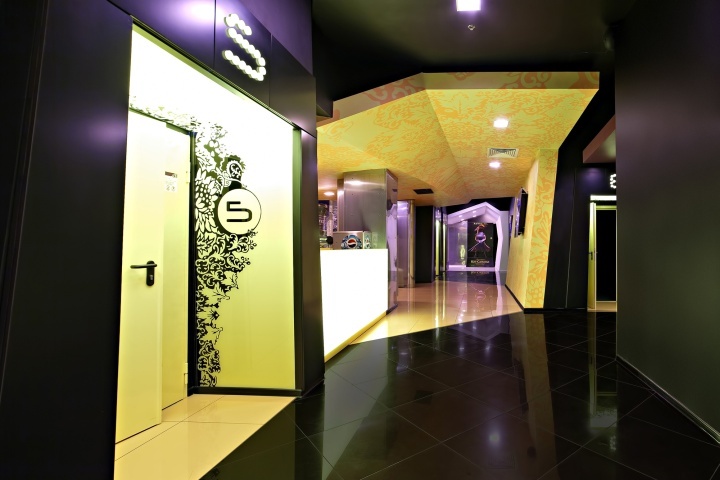 Completely monochromatic, yellow VIP Bar provokes a feeling of immersion into a unique and energizing space, decorated with figurative motifs. 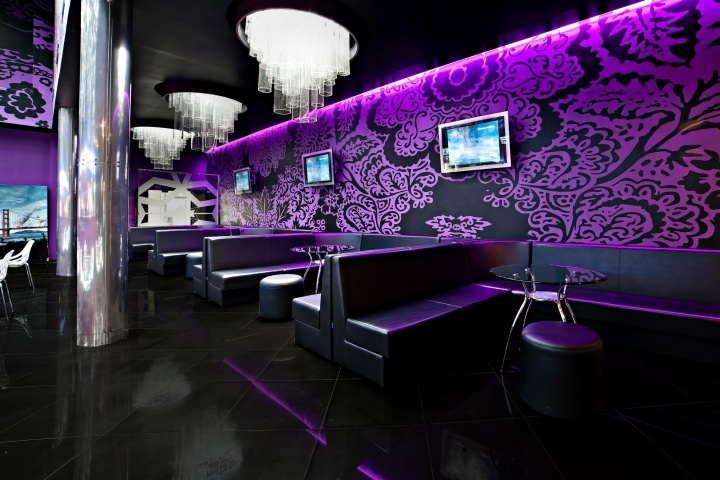 In opposition, the VIP Lounge, with its soothing tones of black and purple, creates a climate of intimacy, the feeling of being incognito in an elegant room decorated with precious materials. 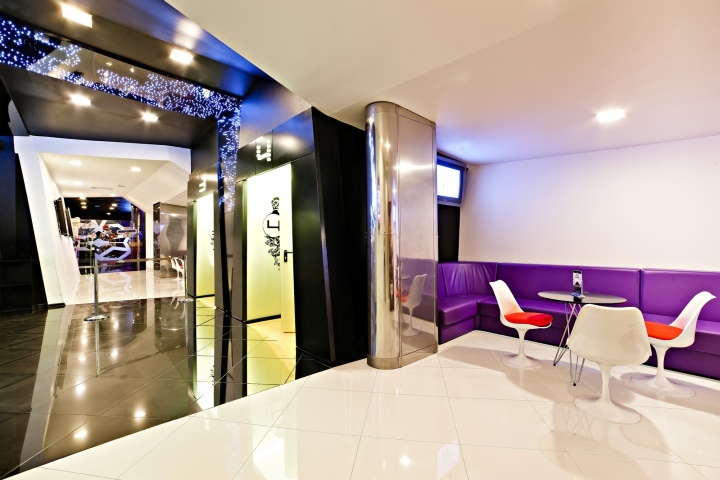 An unusual solution are the white corridors, strongly contrasting with the dark cinema halls. Thus, each room in this facility is clearly defined, both functionally and aesthetically – at the same time being part of a common pattern derived from the logo. Kronverk brand’s underlying colors were repeated in each zone, altered through different styles and moods. The choice of materials and finishing techniques was important in this project – they had to be both aesthetic and economic, repeatable in different configurations – as it is the optimal solution for network projects. The decorative function in the interior, however, is played not only by the materials, but also by the forms and colors, and above all by interesting and surprising idea to combine the seemingly distant aesthetics. This design in a modern way refers to the Russian decorativeness. The patterns and forms applied in the project are contemporary interpretation of motifs known from other eras or traditional ornaments. The best example is the ceiling in the lobby with LED lights arranged in a delicate, lacy pattern. The power of expression of this interior defines the modern eastern splendor, based on the latest technological achievements. 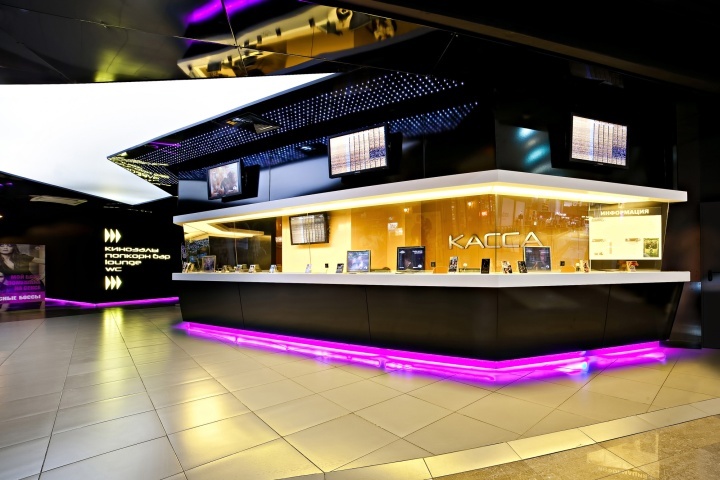 By applying these means one of the most attractive cinemas in Russia was created. 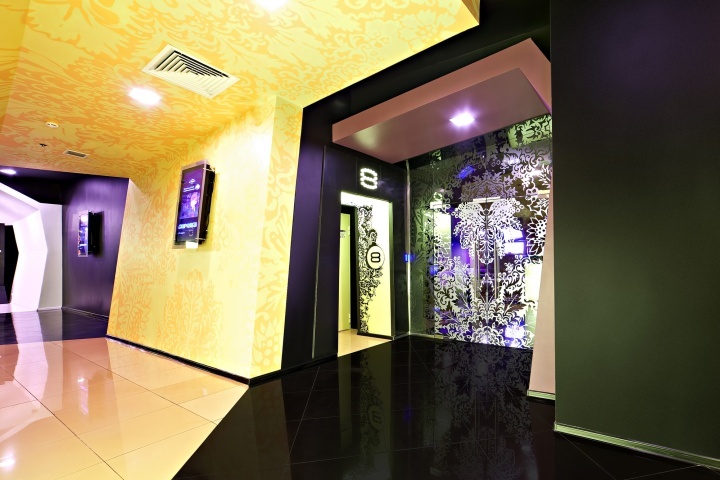 The project fully met the client’s expectations and was appreciated for its functionality and modern solutions, as well as for aesthetic consistency and coherence with the Kronverk brand’s identity.